Why? Because the neighborhood’s gone to hell since Santa showed up, that’s why. This headline would have benefitted from a comma. 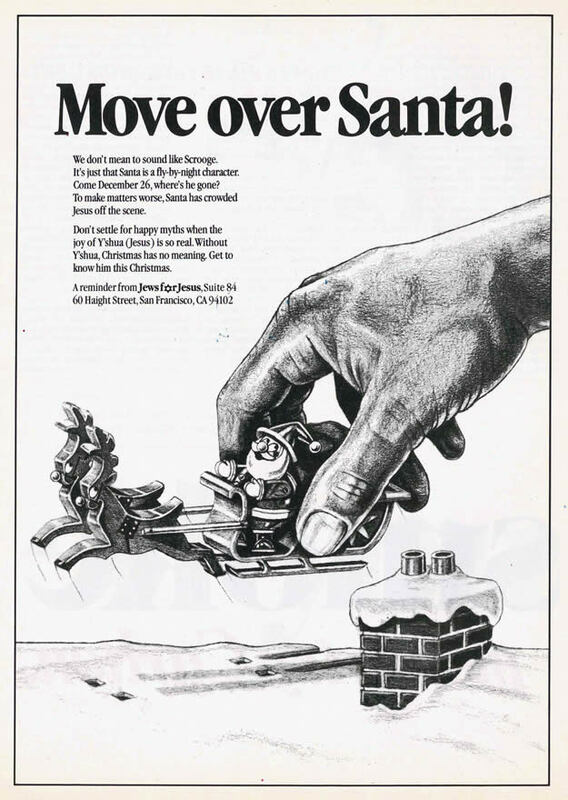 This entry was posted in ads of yore and tagged ads, advertisement, advertising, christmas, jesus, jews for jesus, magazine ad, print ad, santa, santa claus, vintage advertisement, vintage advertising, y'shua on August 23, 2017 by Clayton Hove.